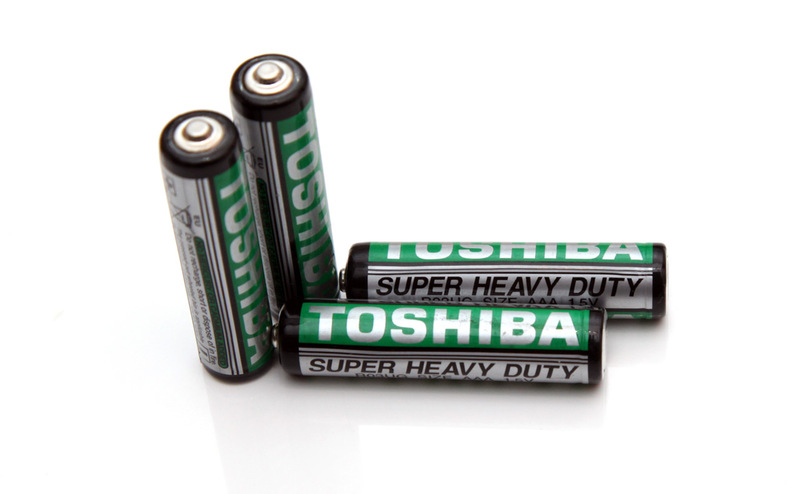 The 1.5V AA Toshiba Super Heavy Duty batteries are of the Carbon Zinc type, however this is not mentioned anywhere on the battery itself and this along with the fact that the batteries are labeled as Super Heavy Duty gives out the fact that they are indeed Carbon Zinc. 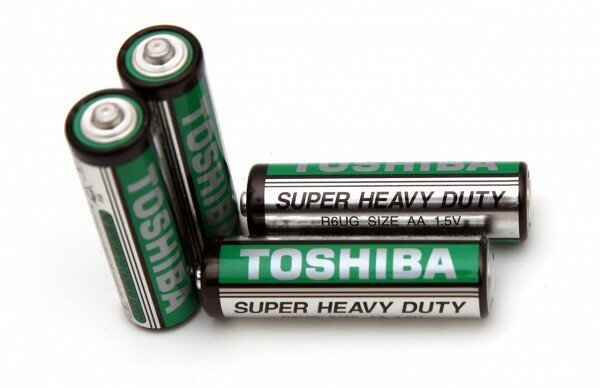 This simply means that the 1.5V AA Toshiba Super Heavy Duty batteries that we test here with an expiration date of 04-2016 are not going to provide as much capacity as an Alkaline battery. We are not very happy when we find a Carbon Zinc battery that is not clearly labeled as such as that may be misleading the buyer, especially if not careful enough. As a general rule of thumb Alkaline batteries should have Alkaline written on them as opposed to Carbon Zinc batteries do not have that clearly stated. Anyway, lets us see what we can expect in terms of performance from these Carbon Zinc batteries from Toshiba. Starting our tests of the 1.5V AA Toshiba Super Heavy Duty batteries with a constant current discharge rate of 0.1A we’ve managed to get 874 mAh capacity and that is actually not bad for a Carbon Zinc battery. Doubling the constant current discharge rate to 0.2A and the batteries still manage to handle pretty well, however by further increasing the load to the 1.5V AA Toshiba Super Heavy Duty Carbon Zinc batteries they are starting to offer significantly less capacity. This is to be expected as Carbon Zinc batteries are intended for use in cases where low power is required.